The CP73 Stage Piano from Yamaha features three premium concert grand pianos: the Yamaha CFX, Yamaha S700, and the Bsendorfer Imperial 290. 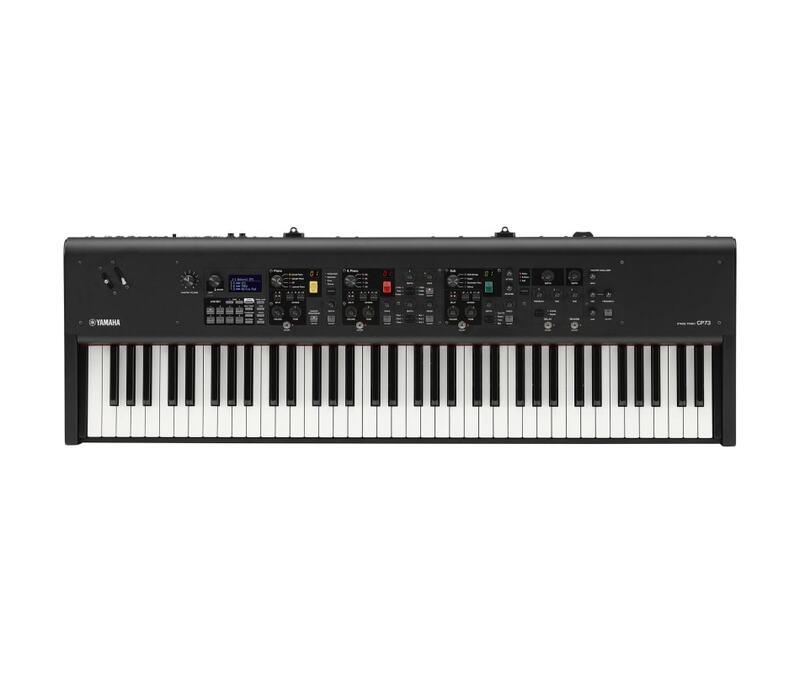 Featuring vintage electric pianos, strings, organs, clavi, and effects, this compact and lightweight 73-key balanced hammer-action keyboard can be used to provide full-dynamic expression and nuance for stage or studio performance. The CP73 stage piano offers 128-note polyphony, and the one-to-one interface gives you direct, immediate, and total control of your sound. There's no programming, menu-driving, or web searching with the keyboard. The interface allows fast and easy splits, layers, and sound-shaping directly from the front panel. This instrument connects and integrates into your home studio or live rig with onboard USB MIDI, balanced XLR outputs, headphones, or 1/4" connectors. A power cord and foot pedal are included.